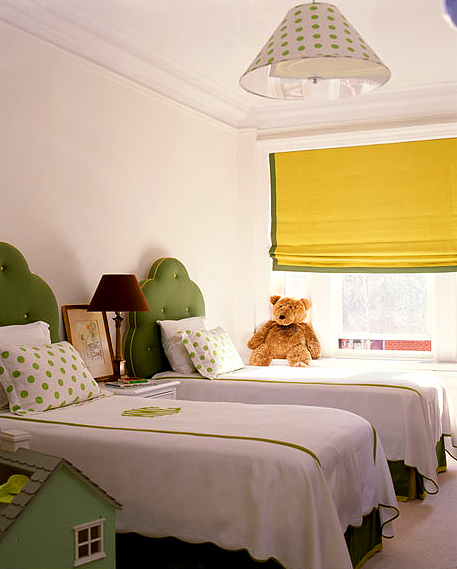 I'm rather enjoying the kiddie room-spiration over at NYC-based Amanda Nisbet Design. I wasn't planning on redecorating the kid's rooms, but I'll be filing each of these away for later! PS Even if you a) don't have kiddies and b) aren't planning on redecorating, head over to the Amanda Nisbet Design website. It's beautiful - inspiration galore! Could that kids work area be any cuter? I don't think so! So sweet! Love Amanda Nisbet's work. Would really like to incorporate her aesthetic into my nieces and nephew's rooms one day. 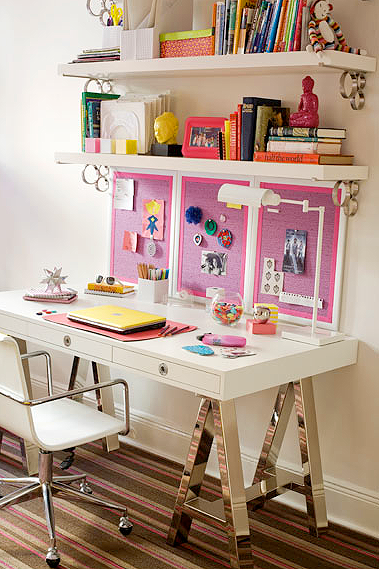 Forget the kids, I love that white and chrome A frame desk. Where do you think this is from? Williams Sonoma home?